Each district court in the State of Washington contains a “Small Claims” division for the settlement of civil disputes in which damages claimed total less than $5,000. 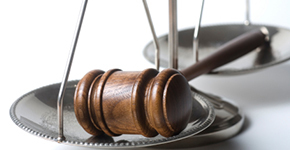 Small Claims Court was established to provide a low-cost, user-friendly alternative to litigation. The following information was taken from the Small Claims Court Guide produced by the Washington State Administrative Office of the Courts. This guide is designed to answer only basic questions regarding the use of small claims court. Employees of the Attorney General’s Office are forbidden from interpreting the law or providing information that could be interpreted as legal advice to any individual that is not representing a state government agency, board, or commission. For more detailed information regarding jurisdiction, court rules, or filing procedures please review Chapters 3.66, 4.16, 4.28, and 12.40 of the Revised Code of Washington. If you should have any additional questions, please contact your county district court small claims division. Any individual, business, partnership, or corporation (with a couple of exceptions) may bring a small claims suit against any other individual, business, partnership, or corporation for recovery of money only for an amount up to $5,000. In general, the claim must be filed in the district court of the county in which the defendant(s) reside. Exceptions and specific rules can be found at RCW 3.66.040. The State of Washington may not be sued in Small Claims Court. Unless a judge grants permission, Attorneys and paralegals are excluded from appearing or participating with the plaintiff or defendant in a small claims suit. You must pay the court clerk a filing fee at the time the suit is filed. The filing fee ranges between $14 to $29 depending on whether the county you file the lawsuit in supports a dispute resolution center. You may have some additional fees payable to the sheriff or process server to have the Notice of Small Claims served on the defendant. As an alternative, you may serve notice on the defendant by registered or certified, return receipt mailing. If you win your case, you are entitled to recover your costs of filing and service fees. Contact your local district court; contact information may be located in your local phone book or at www.courts.wa.gov. First you will prepare a Notice of Small Claim form that is provided by the clerk. You are required to sign the Notice in the presence of the clerk, unless otherwise instructed by the court. On the Notice form a hearing date, trial date, or response date will be entered by the clerk. It is the plaintiff's responsibility to accurately identify the defendant, provide a proper address and, if possible, provide a phone number. By mailing the copies to the defendant by registered or certified mail with a return receipt requested. The Notice of Small Claim must be served on the defendant not less than ten (10) days before the first hearing. A return of service, or mail return receipt bearing the defendant's signature, must be filed at or before the time of the first hearing. You cannot personally serve the claim. See RCW Chapters 4.28 and 12.40, and CRLJ 5 for more detailed information. In most cases, neither party is one hundred percent right or wrong. You are encouraged to try to settle your case before trial. If you settle the dispute before the hearing, you must inform the court so the hearing can be canceled and your case dismissed. If the other party agrees to pay at a later date, you may ask the court for a continuance. If the other party pays before the postponed date, ask the court to cancel the hearing. If you do not receive your money by the time of the continued hearing, proceed with the case in court. If you drop the suit, your filing fee and service costs are not returned. A money judgment in your favor does not necessarily mean that the money will be paid. The Small Claims Court does not collect the judgment for you. If no appeal is taken and the judgment is not paid within 30 days, or the time set by the court in the payment plan, you may request (in writing) and upon payment of a $20 fee, that a transcript of the judgment be entered into the civil docket of the court. At that time you may proceed with a method of collection such as garnishment of wages, bank accounts, and other monies of the defendant or an execution may be issued on cars, boats, or other personal property of the judgment debtor. Remember, the clerks cannot give you legal advice. You may need the assistance of an attorney or collection agency at this point. In the alternative, you may take your transcript of the judgment and file it in superior court for a fee of $20. Other fees may be required by the superior court clerkor county auditor. When this is done, it places a lien against all real estate in the name of the judgment debtor that is located in the county. Serve a copy of that Notice on the other parties, and file acknowledgement or affidavit of service in district court. Pay to the district court a $20 transcript fee. Deposit at the district court the $200 superior court filing fee either in cash, money order, or cashier's check payable to the Clerk of the Superior Court and pay a $40 appeal preparation processing fee to the district court. Post a bond in a sum equal to twice the amount of the judgment and costs, or twice the amount in controversy, whichever is greater, (cash or surety) at the district court. When the appeal and bond are transferred to superior court, the appellant (person appealing the decision) may request that the superior court suspend enforcement of the judgment until after the appeal is heard. Within 14 days of filing the Notice of Appeal, the district court clerk will transmit the court record to the superior court clerk who will assign a new number and notify the district court. The district court clerk will advise the appellant of that number, and the appellant must then contact the superior court for further instructions. Once the judgment has been appealed to the superior court, then enforcement of any judgments entered in the case will be handled in superior court in the same manner as any other superior court judgment. Your local district court. Contact information can be found at www.courts.wa.gov.